Andy LaRocque remembers Chuck Schuldiner of Death: He used to call me every New Year! Andy LaRocque, the guitarist of King Dimond is well known in the metal circles. In this interview, Andy discusses his collaboration with Chuck Schuldiner of Death, Mikkey Dee, Abigail, Them, and The Eye albums, his musical influences, new King Diamond album and upcoming DVD. He also mentions some of the latest projects he’s involved in as a producer. 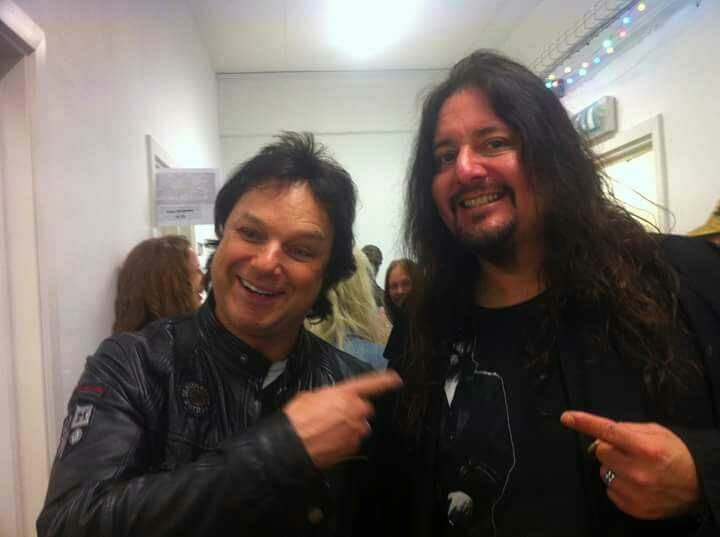 Interview with Gene Hoglan of Dark Angel/Testament: We’ve got 5-6 serious formations of new Testament songs! Interview with Danny Lilker of Nuclear Assault/Brutal Truth: Cliff Burton was a super cool dude! Interview with Pete Sandoval: Terrorizer got its name after a Repulsion song!